Learn to Salsa Dance with San Francisco’s Hottest Salsa Dance School, DanceSF, at San Francisco’s longest running (and crazyest) salsa dance club. Yes, YOU can do this, Register and learn to salsa! Every Monday, starting the first or FIRST Monday of each month join us for amazing dance classes, and a fantastic salsa and bachata dance party. This is a FOUR Week progressive salsa dance class series, and meets every Monday. This puts you on the list for all 4 weeks, including your bonus week. Starting the first Monday of the month, and every Monday after for 4 weeks, join us for step by step Salsa Dance Classes! Learn to Salsa Dance from your very first steps, and each week, there’s a huge salsa dance party after classes. No partner or experience necessary, yes, you’ll LOVE these classes. Super fun, and step by step salsa dancing. This IS for you, and you will have a great time. 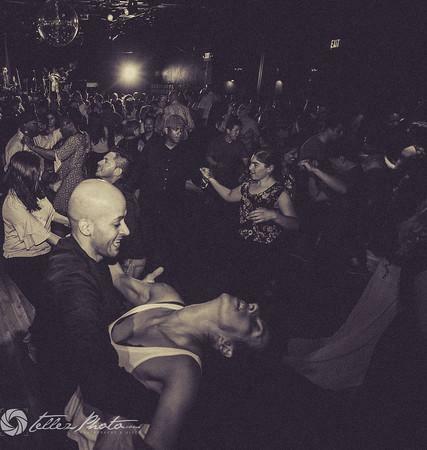 See the Video, Experience San Francisco’s Hottest Salsa Dance NIghtlife! Get a Deal through Eventrbrite for the whole 4 week series! Beginning Salsa at 7pm (Doors open at 6:30), come early. Intermediate salsa at 8:30, Dancing at 9:30. We’ll see you there – You’ll love them! PS – Monday Classes are at Neck of the Woods, 406 Clement Street, on 5th Avenue and Clement. A great neighborhood, with fantastic food and great cafes. Come early! ** PLEASE NOTE: Yes, you can transfer your classes to another person, and Yes, you can hold over your classes for up to TWO months if you can’t make it, but please note, there are NO REFUNDS for classes. At the Door – Drop in for the Series Each Week [4 Weeks]: USD 126.99.